Come enjoy the vacation of a lifetime at Sea Memories, a beautiful 3 Bedroom/3 Bathroom home steps from the ocean. 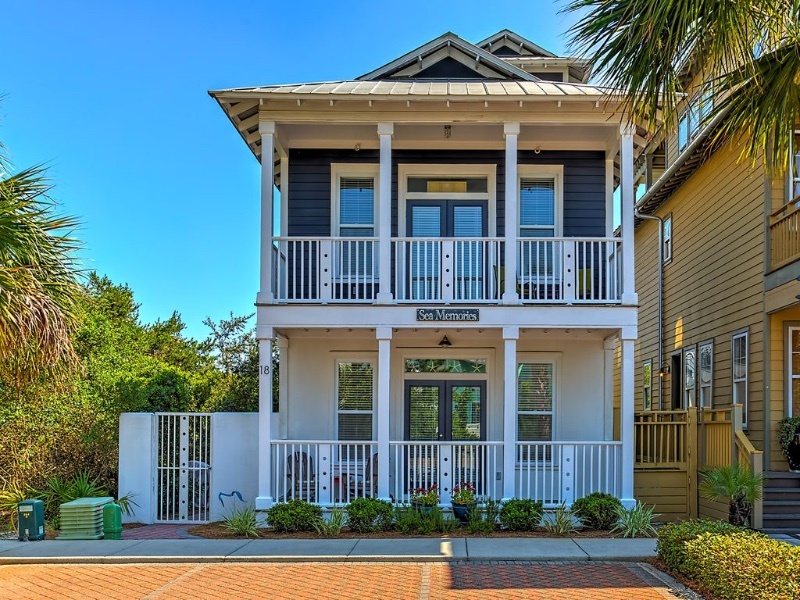 Located right on 30A, Sea Memories is a “first tier” property with all new appliances and furniture to enjoy your home away from home. A mere 5 minute walk from the ocean, and a 2 minute walk from the pool, you will be perfectly situated to rest and relax and enjoy all that 30A has to offer. Yes, we have WIFI although we hope you will be able to disconnect from work and life back home. Remember, you are on a well-deserved vacation! Sea Memories has gotten a total upgrade, which included all new paint, furniture, furnishings, and appliances. Comfortably sleeping 8 people, you will find two master bedrooms on the first floor, each with their own TV, en suite bath and a private balcony. On the second floor, the great room will provide your family and friends with plenty of seating and dining options for everyone, plus an open galley kitchen with granite countertops and all new stainless steel appliances. Another bedroom with a king sized bed, television and private balcony is also on this floor. If you visit the top floor, you will find the beautiful vista of the Gulf of Mexico. This floor has a daybed with a trundle, the perfect hideaway for the kids!